Pretty Purplexing: I Really Want To 'SMELL' Somebody! I am in total Heaven! Not only can I see him, but now I can smell him! Adam Levine launched his own fragrance in February. February? Why am I just finding out about it NOW? Boy, would I ever love to get close to him! (In case you didn't catch my humor in the title of this post: It's a twist on a line in a Maroon 5's song "Love Somebody"). So are you going to buy the cologne for the hubs and let your imagination wonder? Heehee. Exactly! A gift that keeps on giving!! Fragrance can define a man. 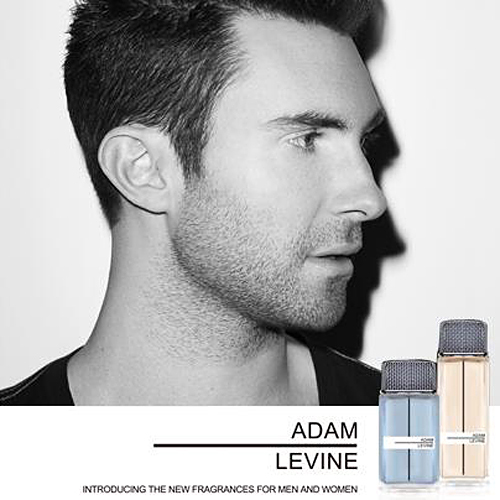 I wouldn't mind a whiff of Levine's new cologne, myself. the only thing that would make this post absolute perfection......is if it was Scratch n Sniff. haha! Scratch n Sniff would have been the icing on the cake!